Excerpt: "19N's degree (9Virgo) squares US natal Uranus 8Gem55 and opposes US natal Ceres and our Pluto-Chiron midpoint (8Pisces.) Will the themes of the eclipse block or merely be triggered? Uranus is always unpredictable yet we may expect that here it denotes an uncaring attitude toward humanity! 'Indifferent to the needs of society' seems a perfect description of recent anti-government upstarts and anarchists in Congress most if not all of whom are Republicans. Curiously, the 19N is also the Prenatal Eclipse Series of the Republican Party (July 6, 1854) which may increase their chances of election, this common-good populist blogger is sad to say. 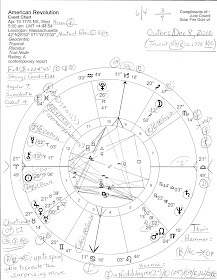 Note that the 19 North Eclipse of 2016 also squared the 2 Old North Prenatal Solar Eclipse degree of Donald Trump (9Gemini) which repeats @21Cancer on July 12, 2018 with 'glum' themes of 'unfortunate news' and 'separations' (Brady). In 'real time' transit Neptune @9/10Pisces opposed the 2016 Eclipse (9Virgo) while squaring Trump's PE (9Gemini) - so that warring Antares @9Sag completes a difficult Cosmic Grand Cross. A Mutable Grand Cross (or Square) reveals unstable conditions of indecision, anxiety, and mentally running in circles. Bil Tierney says its conditions are like "a windmill in a windstorm" which is one way of describing the 'presidency' of Donald Trump. Nervous strain and exhaustion are the predictable results and those who lack conviction and/or fail to uphold higher principles are spotlighted and challenged. The saving grace is that many people may become more discriminating and aware during this time. Now why does the 19 North Eclipse of 2016 'linger' with us? Because its descriptive themes continue to influence both the 2016 'Election' of Donald Trump, his tenure in the White House, and his January 20, 2017 'Inauguration' as engineered by Vladimir Putin and other foreign and domestic operatives so that those events and conditions 'linger' and bedevil America in the form of congenital liar Donald Trump, who prefers and supports dictator Putin instead of America's traditional allies. 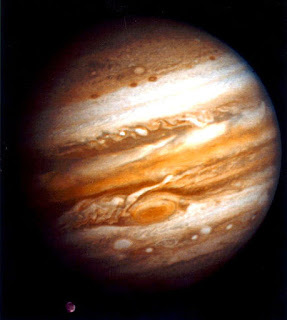 Plus, transiting gaseous giant Neptune floating through its own sign of shady, secretive Pisces continues on its own to bring lies, deceit, betrayal, propaganda, paranoia, fear, contagion, water damages, loss, disappointment, and fraud to the American people as oceanic Neptune washes over the globe. 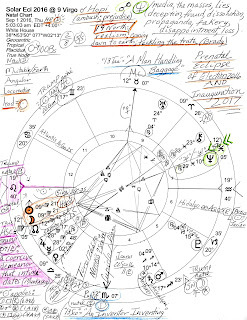 2016 Neptune opposing the 19 North eclipse (9 Pisces vs 9 Virgo across the victim-savior axis) continues to bode ill for it has obfuscated and muddled the forces of truth and realism embedded within the 19 North eclipse so that we continue to suffer under the influence of Trump's "fake news" propaganda and the support of his lies and deceit from the Republican Party, members of which must be mightily compromised by foreign governments with information hanging over their heads--and large amounts of money lining their pockets. Trump knows all of this which is why he could insult and destroy the campaigns of other 2016 candidates and why he can continue to oppose the Republicans in Congress and fail to uphold the traditional party platform. We could even say that Putin 'has Trump's back'. So now with this weekend's G7 Summit in Canada which is said to be more of a G6 +1 due to the threat of America being kicked out (as was Russia for 'annexing' the Crimea!) since Trump played his usual isolationist role of 'odd man out' in Canada and the other nations say they can vote without the US, there seems to be an obvious campaign to establish a 'new world order' of strong-armed dictators (which is being reported or suggested now by journalists and pundits--any of whom may be part of The Agenda). So in spite of what Canadian PM Justin Trudeau says now, this means that a global overthrow is happening right before our eyes and the entire world is about to change in a big way. Will it be authoritarian and draconian 'just like Putin would do'? At this unstable point, it would seem so. For astrologers who use the generational planets, the shift of disruptive, separative reformer Uranus into Venus-ruled Taurus is a descriptive part of this political and societal picture. 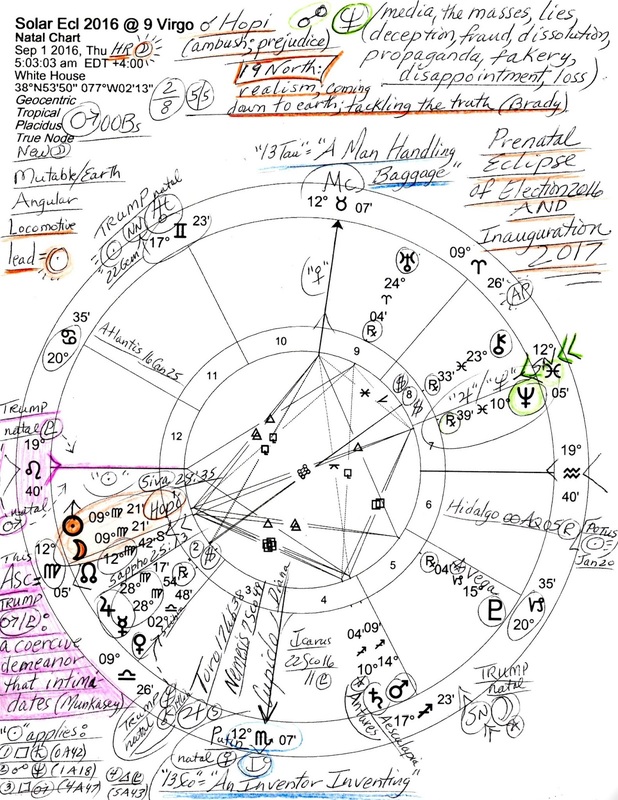 (See Uranus into Taurus which includes Trump's natal chart with the Uranus into Taurus chart of May 15, 2018 surrounding it--and shows the New Moon @24Taurus which perfected upon Trump's natal Midheaven and thus activated malevolent star, Algol.) The New Moon in mid-May marked a new cycle of activity in Trump's career and public reputation on the world stage (MC) with evil Medusa overseeing. For as you've heard, Trump Wants Russia Back in the G7 (just like Putin would do!) which would make it G8 again after President Obama championed the effort to jettison Russia from the group for its strong-armed tactics. Will the Trump-Putin team may get their way? Well, curiously the 2 South Solar Eclipse of early January 2019 reveals an interesting theme in light of this desire of Putin and his puppet Trump--'joining unusual groups and gaining a great deal from the involvement' (paraphrasing Brady)! 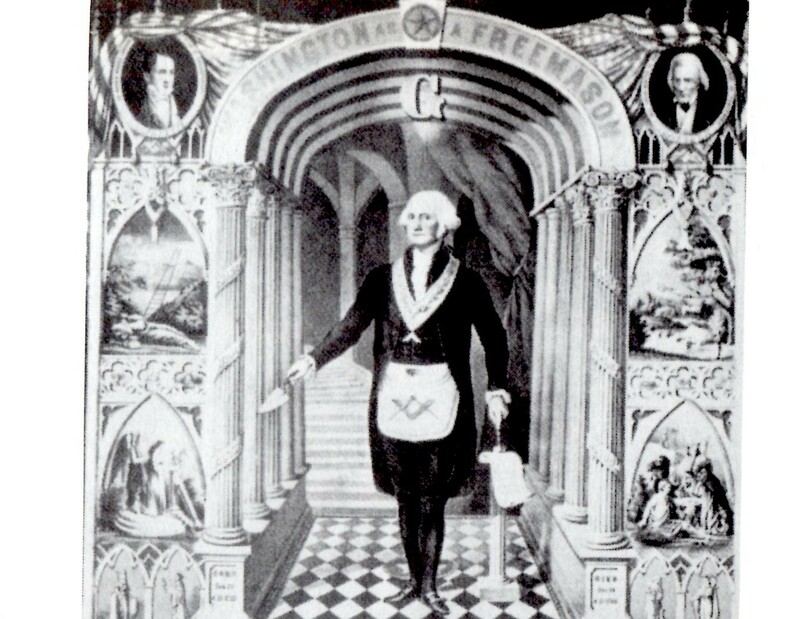 Related Posts include: The New World Order proceeds (1993 NWO horoscope shown--transit Pluto has repeatedly hit and transformed the 1993 Uranus-Neptune conjunction degree/s multiple times = 'the big picture demands a certain course of action, little option to do otherwise'--Tyl--which is exactly what we're seeing 'followed' by Trump-Putin, China, and others now), and Washington Monument: Center of Political Power? which contains various links of interest for the curious. Another Recommended Post with the 2018 Midterms soon upon us: The Sygyzy (Full) Moon of the 2018 Midterms (DC horoscope shown); note that Full Moons can activate conditions and events and uncover secrets much as lunar eclipses can do and New Moons sometimes behave disruptively in similar fashion to solar eclipses which bring unexpected changes of direction.